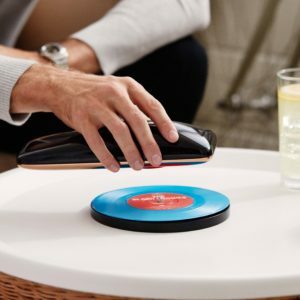 LOVE democratizes & simplifies the way music lovers interact with vinyl through smartphone control. LOVE iOS or Android app allows you to select different speeds, play/stop, change the volume, skip tracks, repeat, and more. Your next record is ready to play, the previous ready to be stored. Two record bases included. Listen with ease. 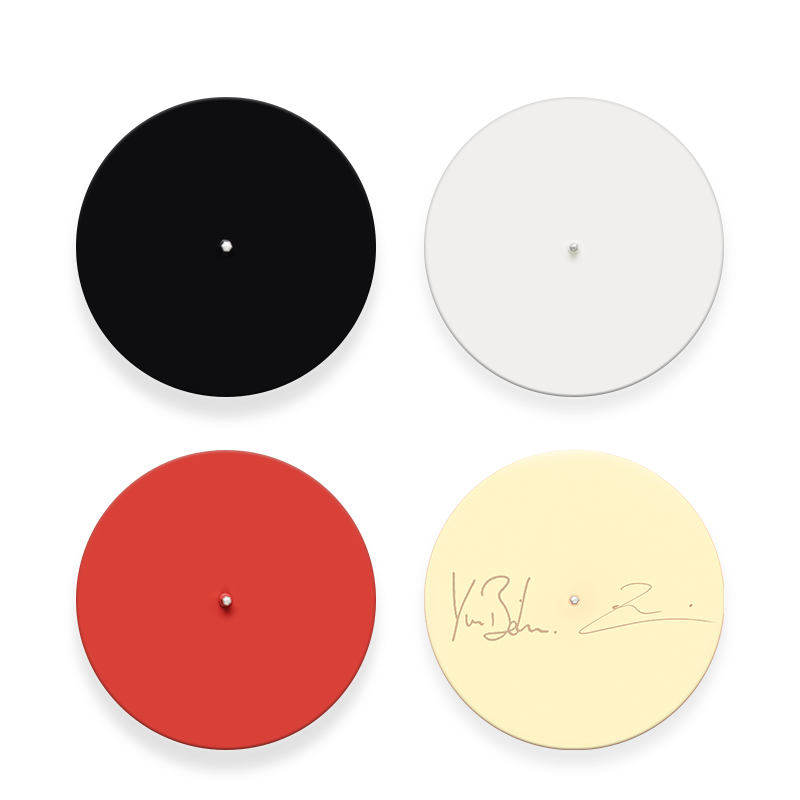 Place any size record on the LOVE turntable record base to scan the vinyl and determine its size. For example, if you want to listen to track 3: you can start playing your record by either pressing LOVE’s top shell three times or selecting the track through the app. 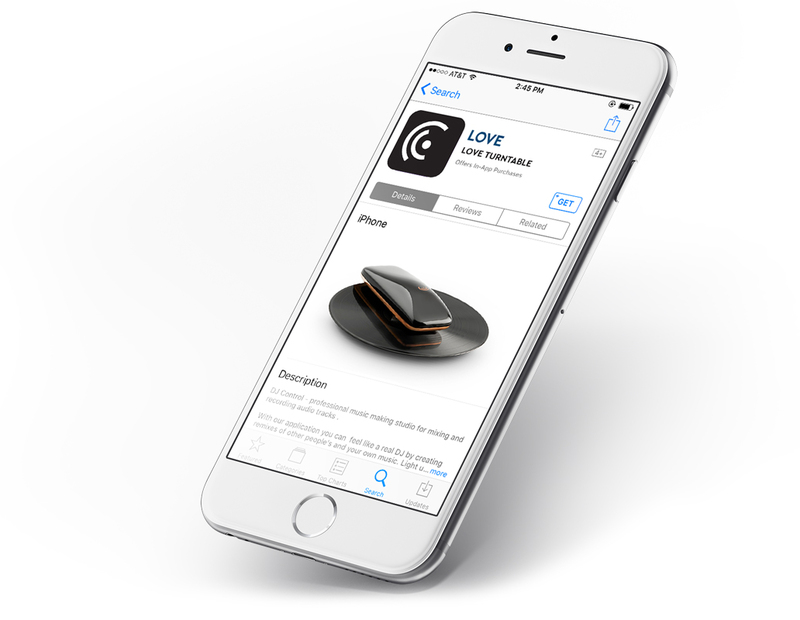 LOVE’s smartphone app allows you to: play, stop, select or skip tracks, repeat one track or record side, select rpm speeds and adjust the volume. Connected to a database, the app automatically sets the record speed, displays the track listing, and the album cover. 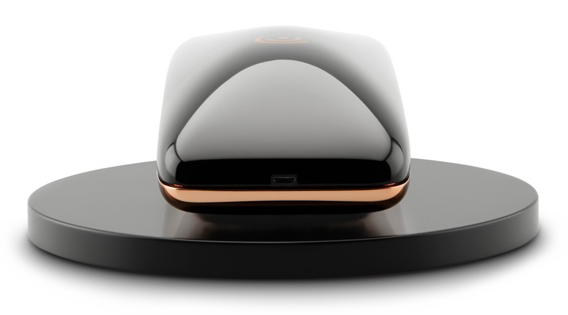 LOVE streams music via Bluetooth and Wi-Fi to speakers or headphones. 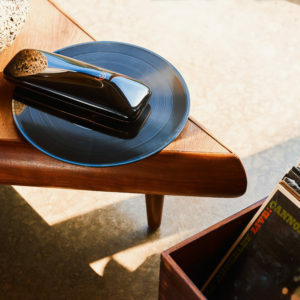 You can also use the 3.5mm cord or RCA Bluetooth adapter and connect it to any audio device. 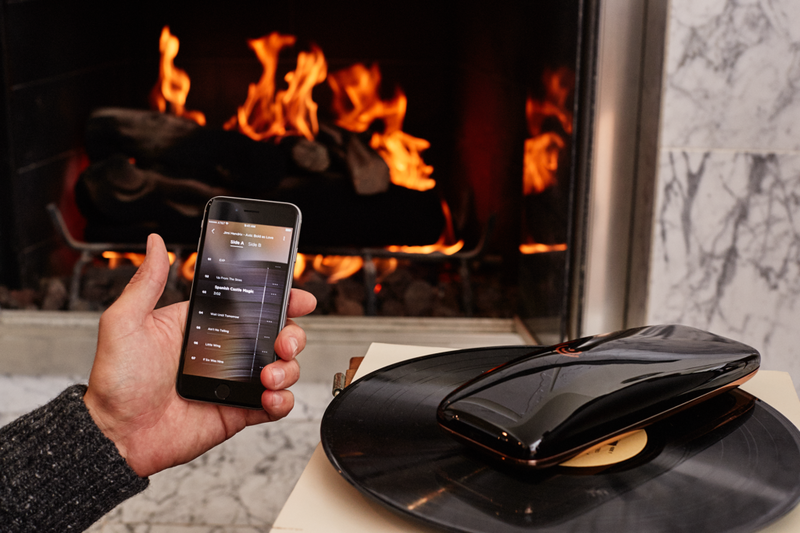 LOVE is also compatible with Sonos. LOVE delivers a high quality sound without stripping away the core of what the vinyl industry is: lush analog sound and the musical experience of a traditional turntable. 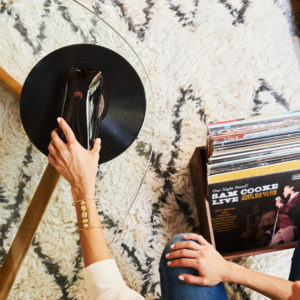 The battery allows you to listen to over 15 complete sides of 12″ LP records and takes roughly 1.5 hours to recharge. That’s much more than most music listening sessions. 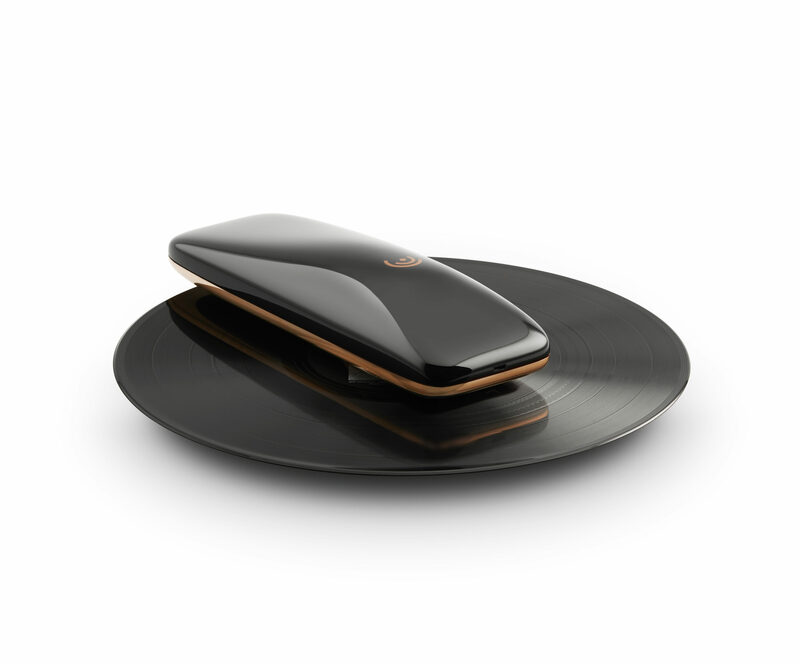 LOVE ’s light weight makes it a portable turntable. 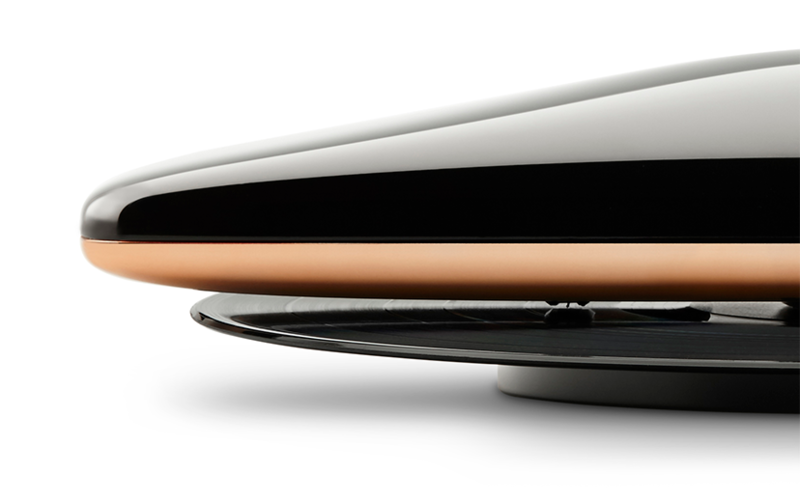 It only weighs 16 oz (450g) and the record bases only weighs 8 oz (225g). 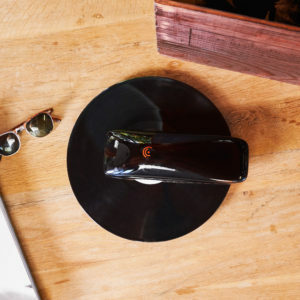 You can bring it everywhere. 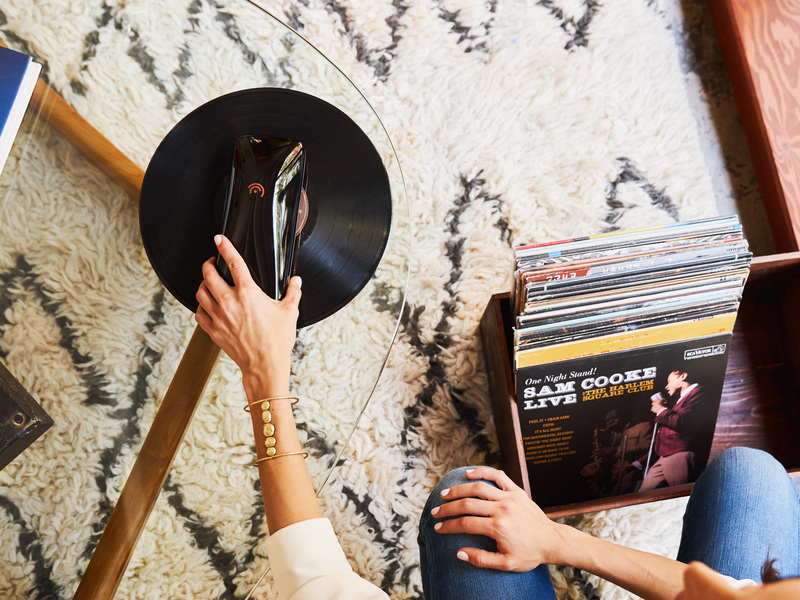 Its record bases fit perfectly on any flat surface in your home. You can listen to it in your bedroom, then take it to your kitchen, or your living room, it’s that easy! Through the LOVE app, you can get access to an extensive database of artists and information. 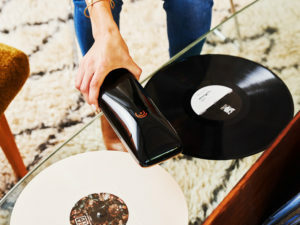 When LOVE scans your record through its linear tracking sensor, it determines its size, number of tracks, the artist, the name of each track, and each record’s specific speed. 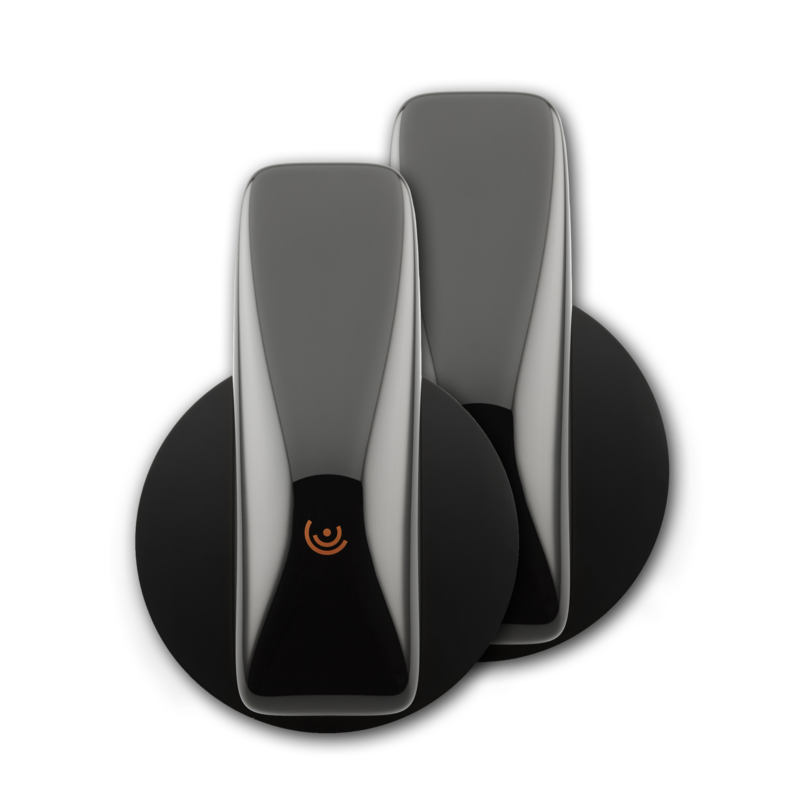 Get access to a vast amount of information. 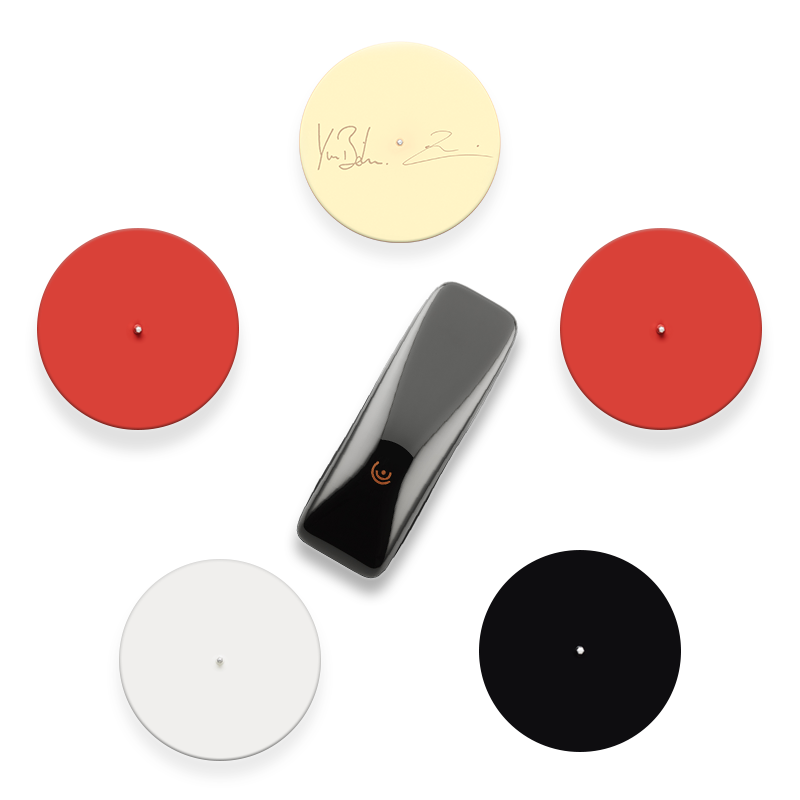 The LOVE Turntable patent has been issued in the United States and in 150 countries around the world. 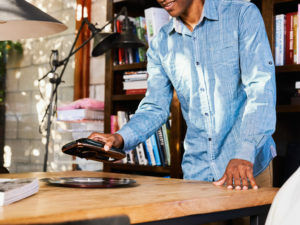 LOVE Turntable, Inc patent applications broadly cover our unique design and functions, including several future product and accessory features that you will soon discover! 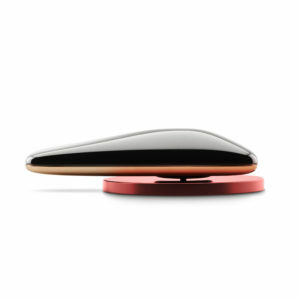 The man behind some of the world's most beautiful products, Yves Béhar is perhaps the most accomplished and innovative industrial designer of our time.